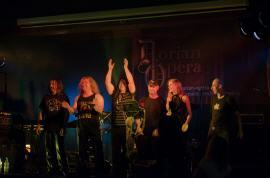 Das neue Live Show von Dorian Opera ist jetzt onstage! Wir bedanken uns recht herzlich bei Oscar's Irish Pub Oberachern, Siggi Braun Young Guitars, Coverband aus Kehl WitchHouse und selbstverständlich bei unseren Fans und Freunden für Eure tolle Unterstützung an diesem Abend! Nach einer langen Schlacht kehrt die Band siegreich zurück und das mit einem Ergebnis das sich hören lassen kann! 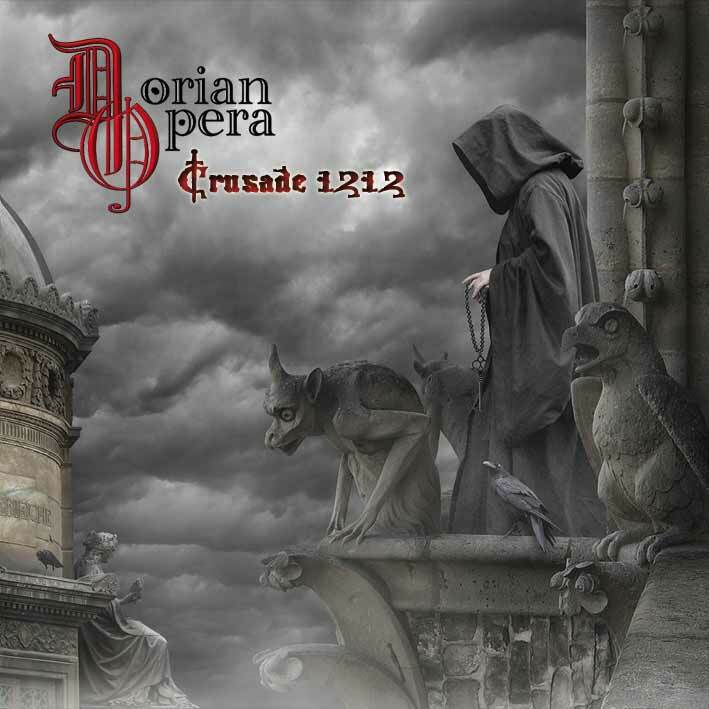 Dorian Operas Crusade 1212 ist ein episches Werk rund um eine Geschichte voller Kampf und Sehnsucht, Verlust, Schmerz und Hoffnung. Das neue Konzept-Album basiert auf einem wahren mittelalterlichen Ereignis – im Jahre 1212 haben mehrere Tausende von französischen und deutschen Kindern einen sogenanten Kinderkreuzzug in Richtung Heiliges Land unternommen; dieser ist sehr schwer verlaufen und hatte ein tragisches Ende. Nach dem gelungenen Debüt 2008 von No Secrets, wo die Musiker bereits ein enormes Hit-Potential zum Besten gegeben haben, geht dieses Album eine Dimension weiter. Man kann wirklich behaupten das Dorian Opera hier einen unverwechselbaren Stil gefunden haben. Auch an Mitgliedern ist die Band reicher geworden : Mit Sven The Axe– Sänger, Songwriter und Produzent von Solemnity hat die Musik ein ausdrucksstarkes und kraftvolles Sprachrohr gefunden. Auch die Rhythm Section hat einen Zuwachs bekommen: Bassist Wolfgang Fetzer steht den Anderen in Perfektion und Professionalität in nichts nach. Gitarrist Oliver Weislogel der ebenso für das Songwriting sowie für die Produktion verantwortlich ist, Schlagzeuger Harry Reischmann – derzeit unterwegs mit GREGORIAN um die „The dark side of the Chant Tour“ zu trommeln, und berühmt ist für seine außergewöhnliche Feuer- Drum – Show, und Keyboarder Andrew Roussak welcher der Geschichte mit den epischen Texten und ebenso einigen Kompositionen Leben eingehaucht hat, zeigen hier erst, was in einem eingespielten Team alles möglich ist. Wem die aussergewöhnliche Qualität der Gitarrensolos und die sauberen Läufe in „No Secrets„ aufgefallen sind, wird von dem Sound der auf Crusade durch Klarheit, Komplexität und Härte glänzt begeistert sein. Alle die epischen und komplexen Metal mögen und Fans von Prog.-Rock sind, werden von Dorian Opera – Crusade 1212 begeistert sein !!! Now it is finally complete! After a long battle the band has returned victorious with a result that is truly worth hearing! Dorian Operas „Crusade“ is an epic piece telling a story full of war and romance, loss, grief and hope. With racing speed this drama takes you along on an adventures journey, which is perfectly represented by the music. Constant restlessness, war and tempests are pictured and driven into a dramatic climax through complex and impulsive rhythms. The new concept album is based on a true event from the European medieval history: in the year of 1212, some thousands of French and German young people made their way to the Holy Land – the event which later became known as the Children's Crusade; this journey was at times just torterous, and had ended up in a disaster . After the successful debut of „No Secrets“ in 2008 where the musicians have already shown a great hit-potential this album is going to a completely new level. One can really say that this band has found their own, unique style. Also in terms of members the band has become richer. With „Sven the axe“ - vocal and songwriter of Solemnity the music has found an impressive and strong interpreter. Also the rhythm section has expanded: bassist Wolfgang Fetzer is in no way less skilled and professional as the rest of the group. Oliver Weislogel on the guitars who is also responsible for the songwriting as well as the production, drummer Harry Reischmann – momentarily on tour with „Gregorian“ and famous for his fire-show, and keyboardist Andrew Russak who has brought the story to life with his epic texts and some beautiful compositions too, are showing what is possible for a well rehearsed team. Who was surprised by the good quality of the guitar-solos and the clear and fast riffs will be delighted with the sound on „Crusade“ that shines with thrust, clearness and preciseness. Everyone who loves complex and epic metal can really look forward to this album! "Dorian Opera doesn’t disappoint. If you have a taste for classically-influenced progressive metal, you’ll like this album. They really are crackerjack players, all four of them. Oliver Weislogel ’s fluid, melodic guitar solos are a highlight of the album, but there’s lots to admire in Joe Eisenburger’s powerful bass playing, Andrew Roussak ’s tasteful keyboard work , and Harry Reischmann’s energetic but musical drumming. " 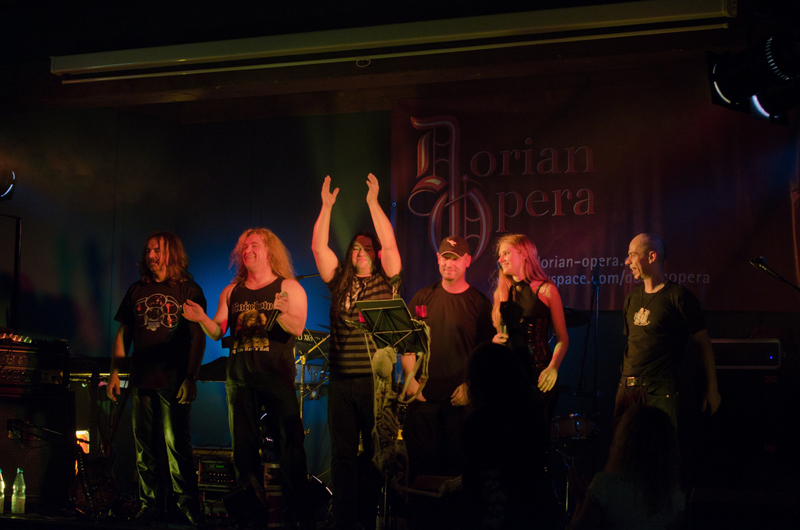 "No secretsby Dorian Opera is a strong debut album that should appeal to lovers of progressive rock as well as classical rock alike. Far superior to most new CD's I have heard this year. For this review I have listened at least ten times to it the past week and most of the tracks still sound fresh. On a scale from one to six stars, this is a five star album to my taste."